It looks like we have completed a motive wave at 1800ish. 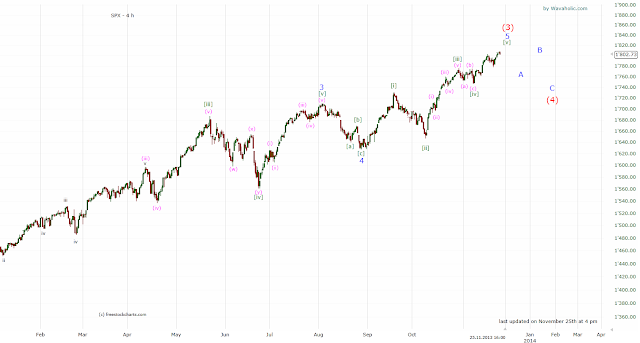 However, the SPX has been very bullish over the last few days and weeks and thus, until we get a big reversal the trend continues to be up. 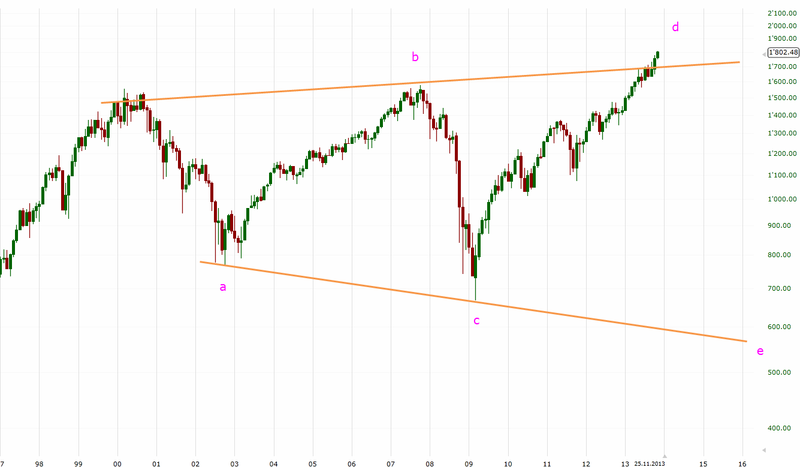 If the SPX declines below 1770, I think that a bigger correction is underway. 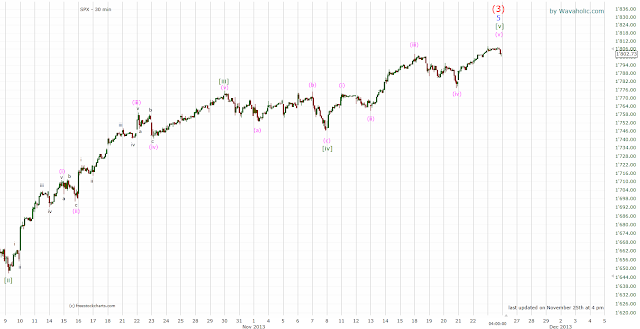 I expect this correction to be of similar length as the previous ones, i. e. around 80 to 120 points. 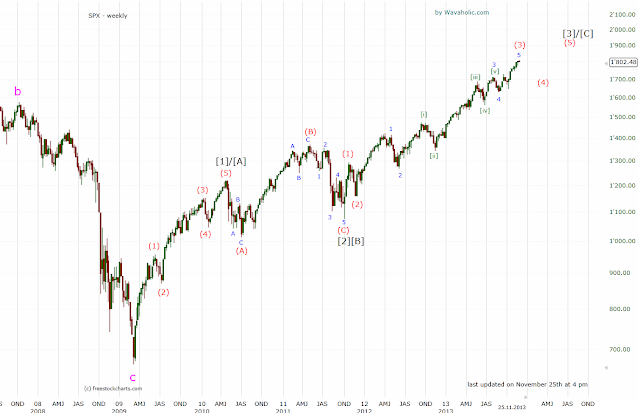 If we are in a wave , we should see a correction next year, similar to 2011, followed by a wave  to 2000+. As mentioned in previous posts, these long-term counts should be taken with a grain of salt. There are just too many ways of counting long-term waves. So, in my opinion, it doesn't really add any value.